Washroom Washroom news - Not your bog standard weekend! News → Not your bog standard weekend! Not your bog standard weekend! 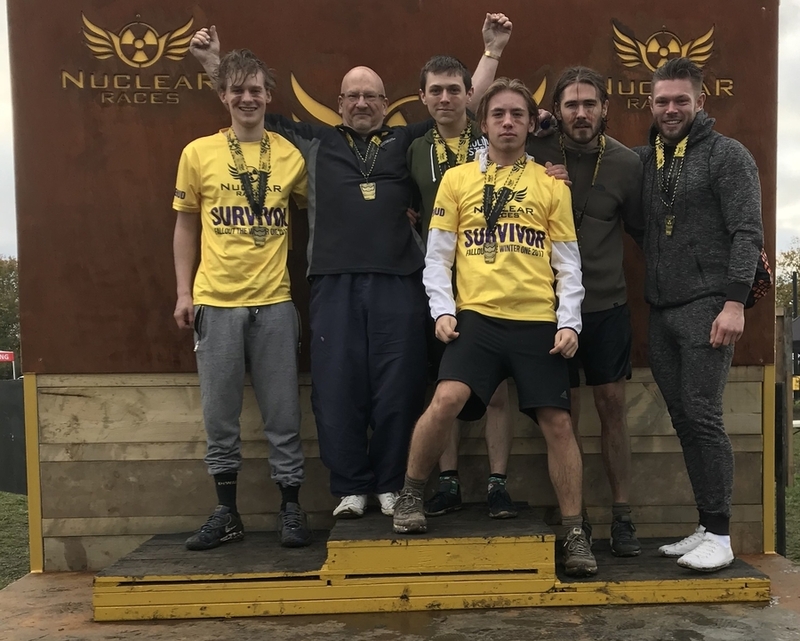 Our incredible team of six determined individuals put themselves through the gruelling Nuclear Fallout 2017 in Brentwood this weekend all to raise money for the Movember Foundation. The challenging 7KM course took our six-strong team over farmland and woodland as well as through lakes and across bogs with more than 50 natural and man-made obstacles to tackle. None of the team had ever attempted anything like it before, so it was a huge challenge but one which they overcame head on to raise more than £800! Kai Bowers, son of one of our directors, Trevor Bowers. The team was inspired to take part in the race as part of our In the Men’s Room campaign which we’re running throughout November to raise awareness for men’s health issues. All funds raised during the campaign will be donated to global men’s health charity the Movember Foundation – the only charity tackling men’s health on a global scale. It aims to make a contribution to men living happier, healthier, longer lives and stop them dying too young by funding charitable programmes supporting prostate and testicular cancer initiatives as well as men’s mental health programmes. Our goal is to raise £1,000 this month and it’s not too late to help us reach our target – you can still donate via our Just Giving page today!